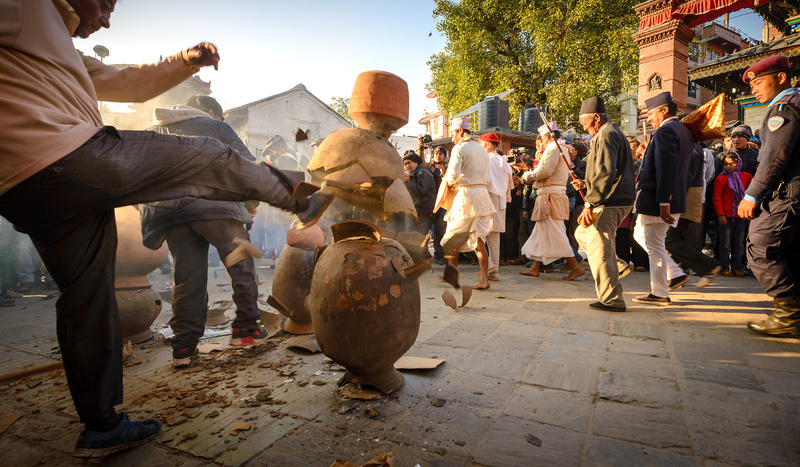 bg | fotography » Changu Narayan Festival and a Pot Smashing Ritual. The Changu Narayan “Ghyampo Phodhne Jatra” or a ritual is held every year on Poush Shukla Purnima. 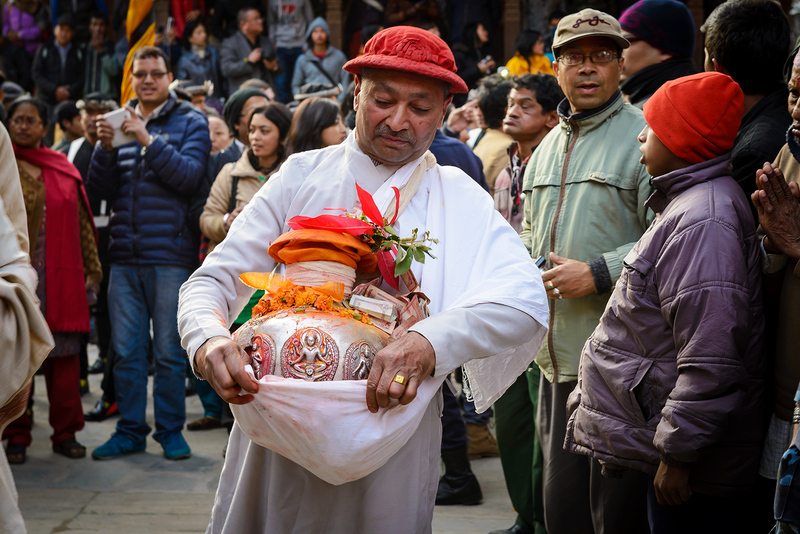 As the Guruju Paltan arrives followed by priests carrying three silver vessels containing holy water as a symbol of the deities Changu Narayan‚ Saraswati and Laxmi from Changu Narayan Temple situated about 20 Kms east of Kathmandu; some people starts to smash the earthen pots laid just opposite the Makhan Pashupati Nath temple. In our Nepalese culture there is a belief that; a cracked vessel seen at the beginning of a journey is a bad sign and one should stop the journey or travel for a while. 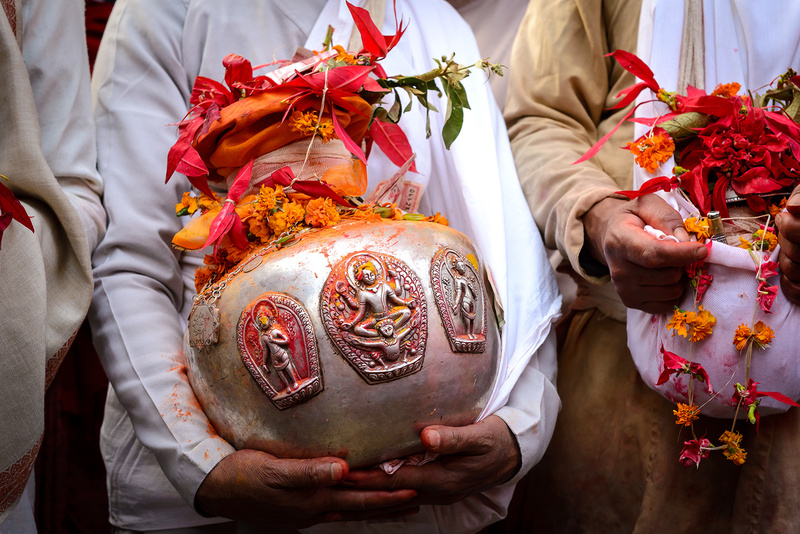 Keeping this belief‚ used clay vessels are smashed once a year to halt the journey back of Changu Narayan‚ Saraswati and Laxmi from Kathmandu. The Myth: At the time when the Kathmandu valley was considered as a separate country, a tantrik from Kathmandu figured out that Lord Narayan along with other gods was roaming around the valley‚ for the wellness of the people‚ he tricked the gods by smashing used clay vessels to stop their journey back. As it is believed to be a bad sign‚ all the gods became nervous and then the tantrik suggested them to stay for a while at Hanuman Dhoka Palace. 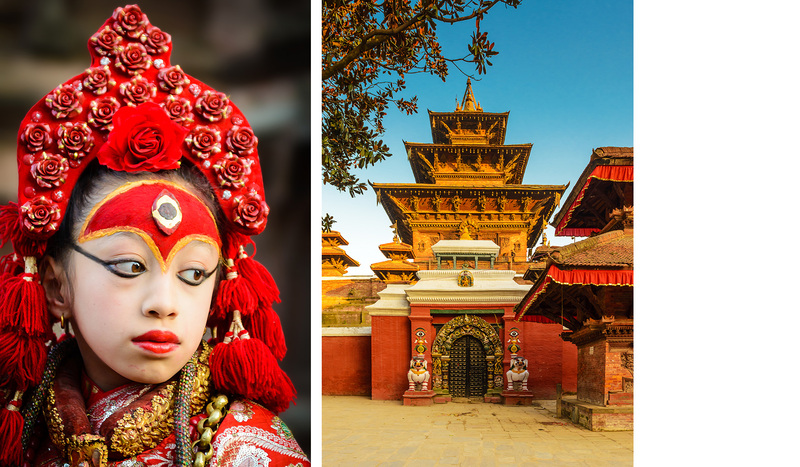 The living Goddess Kumari accompanies the deities where the priests of Taleju perform a special kind of puja before taking them inside the Taleju temple. 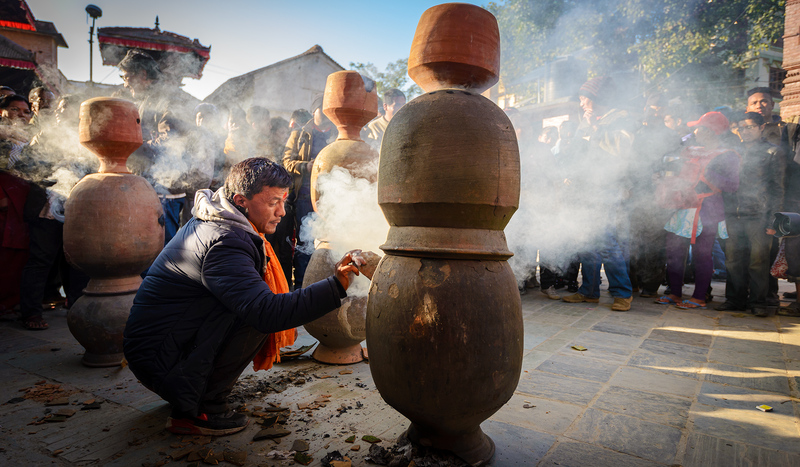 A havan (ritual performance with fire) is started where it is believed that the fire there can be seen from the hills of Changu Narayan Temple. After the ritual‚ the kalashes are taken to the king’s palace for the king to look his reflection on the holy water. Then the holy water in all three kalashes is poured down in the river Bhacha kushi of Shova Baghawati. It is believed to cure all skin diseases‚ including leprosy if one takes a bath in the water of Bhacha kushi. Thank you Sangesh for this wonderful comment !